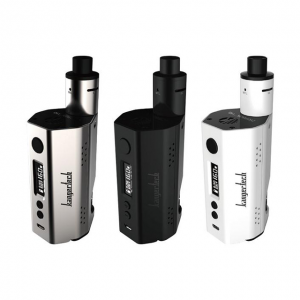 The Augvape Druga Squonk Kit is a combination of the Druga Squonk Mod and the Druga 22mm RDA. The device gets power from a single 18650 battery. 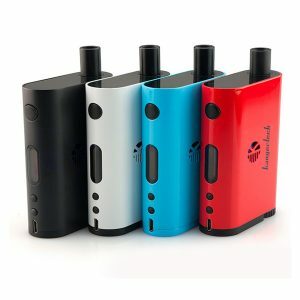 The Augvape Druga Squonk Kit is a combination of the Druga Squonk Vape Mod and the Druga 22mm RDA. 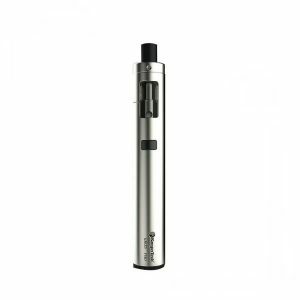 The device gets power from a single 18650 battery. Besides, it has a 5ml capacity squonk bottle which is covered by a rounded magnetic cover panel. The RDA is 22mm in diameter and features a two-post 24K gold-plated build deck. It has a clamp snag system. For this reason, the coil installation is easy. As well, a wider variety of coil structure compatibility is provided. Speaking of design, the Druga Squonk kit created by Augvape company comes in a matte black finish. Elegant and classy, it also feels great in the hands. All in all, the Augvape Druga Squonk Kit is a high-quality squonking device that can deliver a satisfying vaping experience on the daily basis.